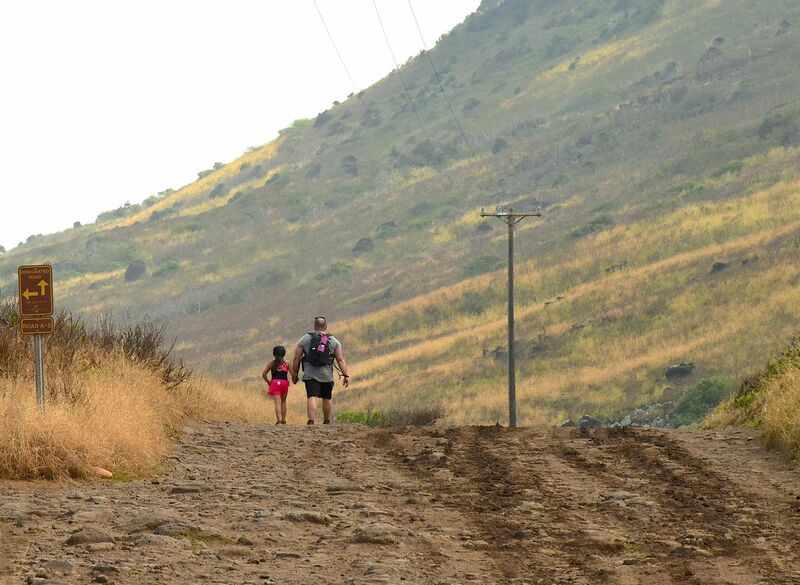 The round trip hike along a dirt-rutted road from the parking area at Kaʻena Point on the Mokuleia side is about 5 miles. This dad and daughter are on their way back to their car. Seeing them hold hands reminded me and had me longing for the days when I did the same with my two daughters.